It pays to study hard at IUKL. 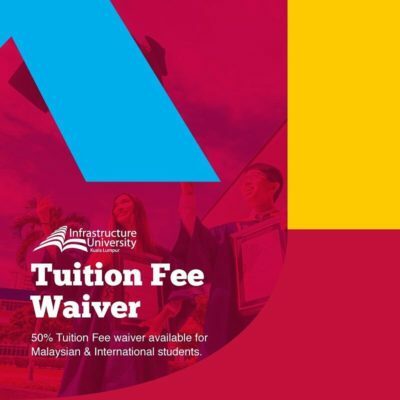 In addition to the scholarships, the IUKL Tuition Fee Waiver Scheme is offered to all its existing students every semester. The scheme offers 50% off the semester tuition fee for students who manage to maintain a CGPA of 3.750 and above every semester. This is our initiative to encourage students to concentrate and excel in their studies, at the same time reduce the burden of students and parents. When you score higher grades, you are rewarded with lower tuition fees. All you have to do is to study hard. Please refer to our friendly counselors for further details. * This scheme is only applicable to undergraduate programmes. * This scheme will start from March Intake 2017 onward. Existing students will still enjoy the previous Tuition Fee Waivers.